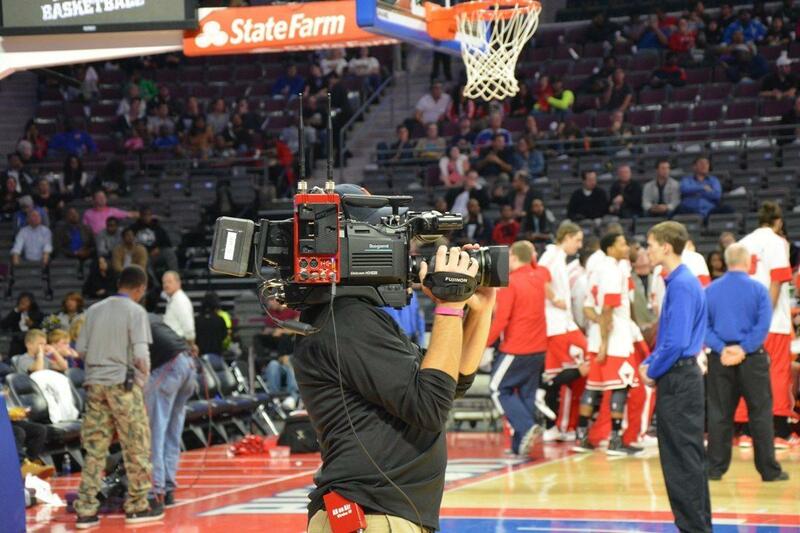 ABonAir offers the perfect solution based on the deployment of its Fiber Based Antenna anywhere within the arena, venue, tunnel or locker-room and can cover 100% of the venue with a robust signal, aggregating signal bounce from walls (MIMO radio), and flexibility of shooting angles and locations within the arena. The System also offers full Camera Control (RCP) for paint/shading, same as with wired cameras, and combined with high-quality video compression (H.264 high profile). We recommend the AB507 for small arenas and the AB512 for large arenas. High range due to the long distance between cameras and the control room or OB track. Physical obstacles (like scoreboard signs). Many broadcast networks and hence coordination is required. Large number of seats (>50K). DAS antennas expected wireless blind-spots (none line of sight). Coverage within/between indoors to outdoors, Locker-room/tunnel area. Fiber Based Antenna solution enabling antenna deployment anywhere within the arena including tunnel/locker-room and optimal signal design based on structure of the venue. The ABonAir solution Provides excellent coverage for indoor/outdoor deployment and for OB-truck or Control-Room fiber patch to receiver. We recommend the AB507 for small stadiums and the AB512 for large stadiums with the Multi-zone (MZ) upgrade package for best coverage of locker-room and concession areas. Outdoors and open air activities, take place in wide and large areas where spectators want to see every move at every corner. For doing that, cameras need to be almost everywhere, covering all angles meeting the challenge of overlapping coverage zones. Physical obstacles such as trees and ponds. Coverage of both indoor and outdoor environments. ABonAir offers the perfect solution based on the deployment of its Fiber Based Antenna with Multizone coverage, and Daisy-Chaining Antennas, including indoor/outdoor coverage based on field layout of the venue. Using single-mode fiber infrastructure to connect multi-receive sites patch to a receiver (Control Room or OB-Truck). We recommend the AB512 for with the Multizone package for best coverage of multiple areas. When it comes to coverage of important planned events, coverage from several scenes and many angles where a studio set up is required, broadcasters are bringing their Outside Broadcasting (OB) vans. This is a highly equipped studio on wheels with a sophisticated control room where the Director and Stage Manager need to coordinate between several cameramen covering multiple and sometimes overlapping coverage zones. Massive/Wide areas of coverage with overlapping coverage zones. Outdoors and open air activities take place in wide and large areas where spectators want to see every move at every corner. For doing that, cameras need to be almost everywhere, covering all angles, meeting the challenge of overlapping coverage zones. Physical obstacles such as trees and buildings. ABonAir offers the perfect solution based on the deployment of its Fiber Based Antenna (FCE) with Multizone coverage, and Daisy-Chain Antennas, including indoor/outdoor coverage based on layout of the venue. This solution offers a single-mode (or multi-mode) fiber infrastructure to connect multi-antenna sites back to a single receiver, located in the Control Room or OB-Trucks. Solution includes full Camera Control (RCP) for paint/shading etc., just the same as with wired cameras and also Tally, IFB and Intercom, all combined with high-quality video compression for best picture quality, utilizing H.264. We recommend the AB512 for these applications with the Intercom and Multizone package for best coverage of multiple areas. In today’s reality, news erupts every minute in every place around the globe. Broadcasters and news agencies are in constant race to cover these events are eagerly looking for the most authentic pictures and video coverage from any location, as news evolves. Audiences are extremely interested to see the first live footage, which today can arrive from any smartphone, LTE device or any Cellular Bonding Video solution. 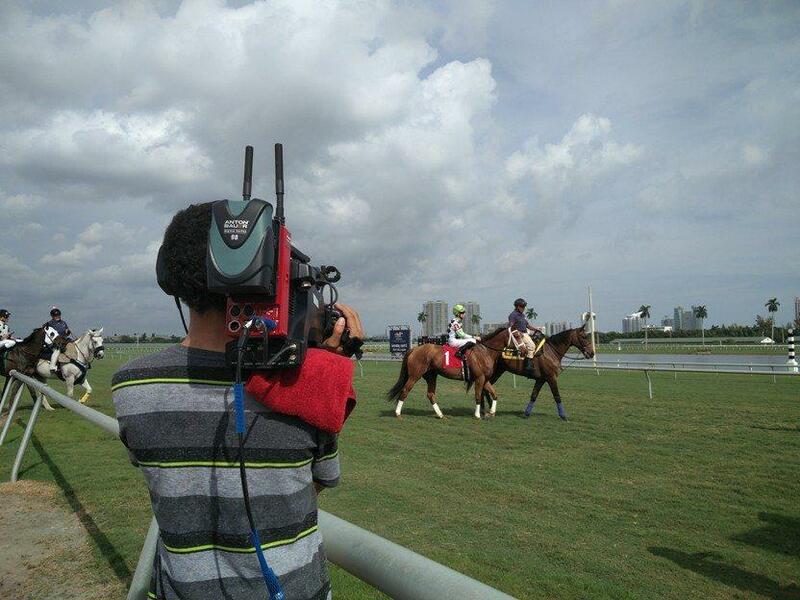 In today`s reality, all can be a field reporter feeding the world with what they see and hear. Obviously, it is a real challenge to deliver live, authentic video coverage from these locations in broadcast quality especially when the reporter and news crew need to cover a larger area, condensed with cellular activities which sometimes can be blocked due to security reasons. Such task is carried out by the SNG news crew, arriving to the scene minutes/hours after the event had happened to broadcast a steady quality video. The challenge is to enable this crew to complete its task in the most efficient way. ABonAir’s AB512 system is the ideal system for this challenge. 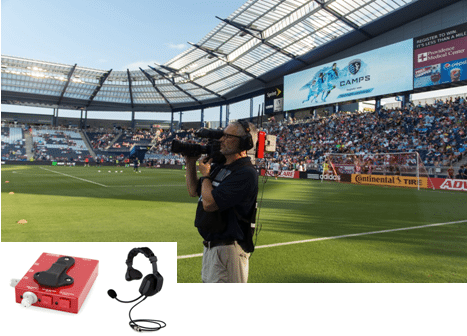 We recommend the AB507 for a small van that does not requires IFB and Intercom and the AB512 for a larger operation that requires an Intercom connection between the cameraman and the director. An open stadium concert is an exciting event both for the audience on-site and home viewers watching the event broadcasted live. In large stadiums, there are large screens that show not only the scene on the main stage but sometimes, also from back stage. Audience want to see it all and live without lip sync. In live events, adding monitors around the stage and in remote locations is a must to the success of the show. Until today, these monitors could only show wired cameras due to the high latency of the wireless equipment that caused lip sync. This is not the case anymore with ABonAir’s groundbreaking 7 msec delay technology. Now, the wireless camera can transmit directly from the stage, next to the artist, to the production room and to the large screens, all within 7 msec only! Lip-sync problems when displayed on large screen at stage side. Long range due to the long distance between cameras and the control room or OB track. Large number of audience, all with mobile phones (>50K). Physical obstacles (like boards, screens and signs). Both Indoor and Outdoor Coverage. The new AB500 product family was designed specifically to answer this challenge by reducing systems’ delay to 7 msec (Less then half a frame), thus, avoiding the lip-sync problem. ABonAir offers the perfect solution based on the deployment of its Fiber Based Antenna anywhere within the concert area and can cover 100% of the venue with a robust signal, aggregating signal bounce from walls (MIMO radio), and flexibility of shooting angles and locations within the hall. The Fiber Based Antenna solution enables the antenna deployment anywhere within the arena including front stage, backstage and other points of interest in the venue. We recommend the AB507 for small stadiums and the AB512 for large stadiums with the Multi-zone (MZ) upgrade package for best coverage of stage, artists dress-room and concession areas. A concert, performed in either a large closed stadium or concert halls, is an exciting event. Monitors located around the stage are critical to the success of the show and they are all displaying content from wired camera due to delay limitation of wireless equipment, this disable cameraman from going on-stage for a close shot of the preforming artist. With the ABonAir’s revolutionary solution, this is not the case anymore. With a wireless camera that has only 7 msec delay, the cameraman is free to walk on stage without wires and provide the audience unique video footage that was impossible before. Lip-sync problems when displayed on large screens at stage side. Cameraman can not walk on stage with a wired camera. Large number of audience, all with smartphone devices. The new AB500 product family was designed specifically to answer this challenge by reducing systems’ delay to 7 msec (less then half a frame), thus avoiding the lip-sync problem. We recommend the AB507 for small concert halls and productions that do not requires RCP or Intercom and the AB512 for large concert halls or stadiums. Street events attract large audience. They take place in open-air but often surrounded by buildings. They may evolve – growing, becoming more intense or settle down. They are very dynamic and cannot be predicted. An event can start in one place and move to another. The news crew and cameramen must be in full coordination and ready for every change in course that may occur during a parade or any other street event. In a city, physical obstacles like buildings and wireless interferences from other equipment are common. Flexibility and the ability to quickly move from one scene to another, robust and high-quality picture are crucial for the successful event coverage. ABonAir offers the perfect wireless product range and systems deployment for any type of street event. This solution is using a single-mode fiber infrastructure to connect multi-antenna sites back to a receiver (in a Control Room or OB-Truck). Solution includes full Camera Control (RCP) for paint/shading etc., just the same as with wired cameras and also Tally, IFB and Intercom, all combined with high-quality video compression for best picture quality utilizing H.264. We recommend the AB512 with the Multizone package for best coverage of multiple areas. ABonAir offers the perfect solution for live religion broadcasts. First and foremost, our hardware is easy to install, so your production team can quickly onboard. All of our products work seamlessly with your current system. One Fiber Coverage Extender (FCE) will allow your cameras to cover the stage, audience and outdoor religious activities. Our 5th generation products are perfect for your live house of worship broadcast needs. ABonAir’s 5th generation products resolve the lip sync variance with a 7 msec sub frame delay.